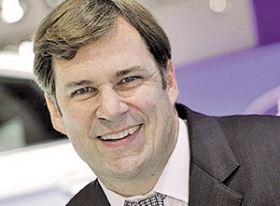 GENEVA -- When you talk to Ford Motor Co.'s "trading places" executives, Stephen Odell and Jim Farley, it's clear: They have inherited each other's challenges. And it's hard to say who got the better deal. 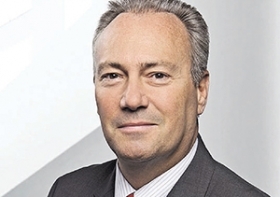 Odell, two months into his post as global marketing chief, is looking to manage a year of crucial rollouts in the U.S. Ford lost share in the U.S. in 2014, and, while the changeover to the new F-150 played a part, several other vehicles also lagged the market. Farley, meanwhile, inherits an improving but still loss-making Ford of Europe. Although Europe is stirring into recovery, Ford is taking a hit in Russia, a market that it once saw as a major source of growth. In an interview last week at the auto show here, Odell said 2015 will be a ramp-up year for several vehicles in the U.S. -- the F-150's second production plant in Kansas City, Mo., coming online will be a key milestone. The Edge and Explorer also launch this year, which means that it will take several months to reach full production and get dealers stocked. "That's one of the issues and one of the benefits" of a heavy launch schedule, he said. "Everybody says, 'Great, you've launched them,' but you're still in ramp-up phase," Odell said. "You're still in getting them to customers. You're still in getting them to dealers." Odell said the U.S. business will build during the year: "We think it will strengthen through the course of the year from a share perspective as more of our launch product will become available, it's fair to say." In a couple of appearances here, Farley talked about the "headwinds" that have forced Ford to push back its goal of European profitability in 2015. The biggest headwind? Russia, where Ford has been cutting production. Inflation resulting from Western sanctions over the hostilities in Ukraine has forced Ford to raise prices in Russia about 20 percent, he said. Farley was enthusiastic about Ford Performance offerings and said he expected growth in core European markets. But overall Ford appears to be reconciled to red ink in Europe this year. Farley chose his words carefully when describing his expectations: "I think 2015 will be a very critical year for us in regard to our walk to profitability. We see 2015 as a year of financial progress."